Star Wars definitely helped influence a lot of heroes, I think (and a couple in the post today). My characters were more influenced by The Wind in the Willows and Frog and Toad, I think, ha! RiffTrax on the road! Sounds like fun. It's interesting how many were influenced by Star Wars. It's probably the one series where I have seen all the movies. Fascinated by the Stars Wars, King Arthur and Neil Gaiman inspired heroes! Also by Olga's non-filmy, ballerina inspired heroine. That pretty much covers all the writers now, doesn't it? :) Great question and very interesting answers. This is earmarked for my summer reading in India. Interesting to see how many people are influenced by Han Solo in particular, not just Star Wars. My Catalyst Chronicles and Season Avatar series are inspired by the Beatles. I'm probably more inspired by movie plots, settings, and overall moods if I were to be inspired by a movie when writing a story. I'd likely be more apt to be inspired by a character actor in a film or somebody from real life. Once I wrote a story where I imagined the Uncle Charley character from the TV show My Three Sons as a main character in my story. Kind of weird, but I always liked his character or maybe more precisely the actor who played him. Loved hearing from the anthology authors. Hans Solo is the type of hero that inspires me too. I like the reluctant hero who really is one when he's needed. Some good picks there. Not sure I have any that truly inspired a character, but I'm sure, as there always are to anything, some similarities to many creep in. Congrats to all the hero authors - loved reading about what inspired them. Cindy, unfortunately I've seen them all, including the three bad ones. 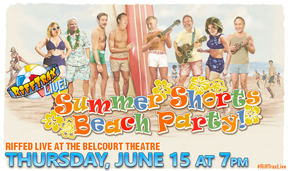 Shady, RiffTrax once tackled a short about nothing, so why not? Pat, you're welcome! And I ran out of room. Coraline influenced one story I wrote. Okay, she's an odd heroine but fits :). Tom Servo and Crow are new to me... love them! I really need to dive into that anthology. With a nice cool drink in the sun outside--yeah, I'm dreaming. I don't believe any of my characters were inspired by those in a movie. Tom and Crow are so funny. I can't think of any movies that have inspired characters, but books certainly have. The Oz books for one. Strong influence. A wonderful idea to host "Hero Lost"I still need to purchase the anthology. I bought the first anthology and enjoyed it. 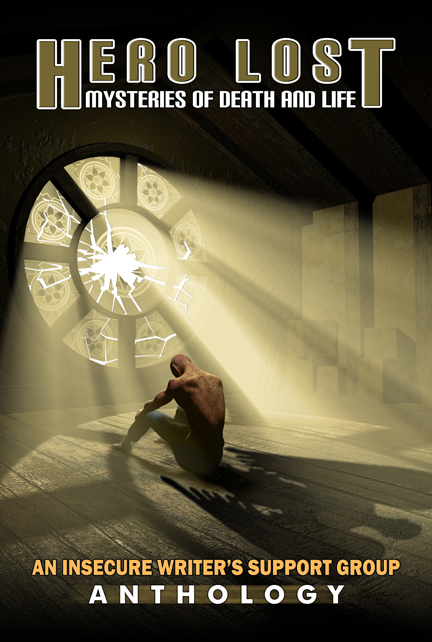 Def will pick up Pat's book as well, the storyline and cover has me curious. I think I've listened to a bit of this music before, perhaps I need to revisit the sound. Thanks for featuring us, Alex! I thought it was funny how many of us were influenced by Star Wars. Psych is coming back? I didn't hear about that! Oh I did like that show and was sad to see it go! It would be a lie to say that Star Wars hasn't influenced my life, but I haven't based any characters or stories on it. i enjoyed the movie character inspirations - congrats on the anthology, looks great! and Pat Hatt's book didn't have a blurb - so of course I'm intrigued to know more about it! ha! Star Wars is usually a big influence on my writing (I dig glowing swords), but this time Maud was definitely a little more Mal than Han, except he wanted to be a poet which I'm pretty sure that Mal and Han might chuckle over. Thanks for sharing Hero Lost today! No movies have inspired my writing, but I did get a story idea thanks to Legend of Zelda. Always a good time-out to visit here *smiles* it's been said we shouldn't take life so seriously, fiction does it for me. Great interviews. Congrats to the authors. Star wars fascinate greatly. Not surprising many others find it so. Especially with the recent remake that grossed big money. Hilary, first time I've ever heard someone say Columbo gave them the creeps. Truedessa, I'd featured two songs back in March. Madeline, his has his Ninja army now! Truedessa, it's coming back as a television movie. Tyrean, Mal was a cool choice. Happy Monday, Alex! I really enjoyed reading about the inspiration the Heroes authors drew from, and I look forward to reading their stories. 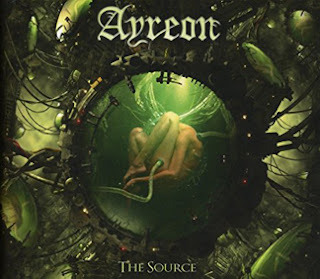 The album "Ayreon The Source" sounds interesting, and I think I will order it. Do you buy CDS or vinyl? I'm also going to get Pat's new book. I hope you have an enjoyable week! Movies do provide powerful influence. I've just finished Cormac's tale. What a fun story twist! Looking forward to the other anthology stories. Okay ~ I took the plunge and ordered the Ayreon album. Decided to push myself to try something different! I adore Death Note! Jen has a darned fine inspiration. Okay, I cracked up at the bots watching Netflix. That's more self-awareness than I thought Netflix would have! I'd totally prefer OA with their commentary. I laughed at the coco part. That was good. And then the laugh he had at one point, looked real. I like when we see real laughs. Yes, to Guardians 2. Up next Wonder Woman, though I am thinking about Alien but it might be too soon to go again but for sure, Wonder Woman next. Congrats to the authors of Hero Lost! It was fun to read how movies could inspire their main character. That album sounds insane. Storylines, tie-ins... that's really cool how much thought was put into it. Definitely not like mainstream music, where, you know, they can't even write their own basic songs. Fullest House... bodies just pouring out the doors and windows. Not only is that hilarious, but I would watch the crap out of that. I totally did not answer the why part of the question. Oh well, I win for shortest answer. Fundy, I usually buy from iTunes, but the DVD and booklet made this one a CD purchase. Glad you bought it! John, hope they have a whole series of thsoe. Ivy, I think we're going to risk Alien this week. I enjoyed learning from where the writers drew their inspiration. 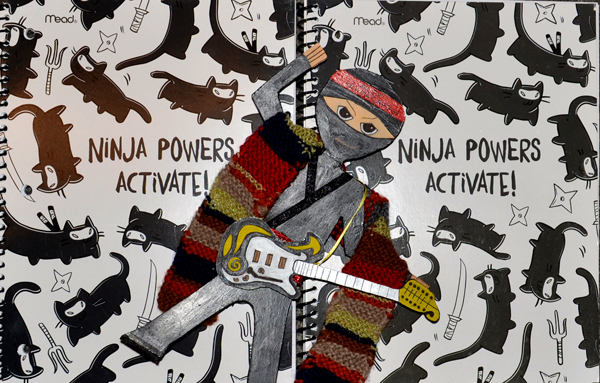 The Ninja is "purfect" for you! I can't think of any character of mine that was inspired by a movie...but I do have some that were inspired by books. But mostly my characters are based on people I know (or a compilation of people). It was interesting reading about other people's inspirations! Now this is a great question! And a good idea for a blogpost too. Fun to see their answers. Have a great week! How fun that the Artful Alphabet was published. And yes... I do love Heath Ledger's acting. I don't write, so no way to answer the question. Not sure I have written anything inspired by a movie, interesting to read that many others do though! Love the notebooks, Alex. I can't think of any movie characters who inspired an entire story off the top of my head, though I was inspired to create the orphanage girls, and the Lebedev(a) family in my Russian historicals, because of the storyline with Katya Gubermann in The Inner Circle. It's a 1991 historical drama based on the memoirs of Stalin's film projectionist, and one of the secondary characters is a young girl who's taken into the orphanage system following her parents' arrests during the Great Terror in 1937. The adult Katya's devotion to Stalin, even at his funeral, inspired another of my characters, who also spent some time in the orphanage system. It's fascinating how far-flung the influences of the anthology authors were: from Star Wars to King Arthur. I'm with Olga - not a movie person. Movies don't inspire my writing. Real life and off-screen beings do. Wish I could dance with Mini Alex. He knows how to have a good time. I suppose everything I've seen and read has inspired me in some way, but I can't think of anything that I've consciously chose to emulate. Also, your wife was right to insist. I love those notebooks. Thanks for the An Artful Animal Alphabet promo. 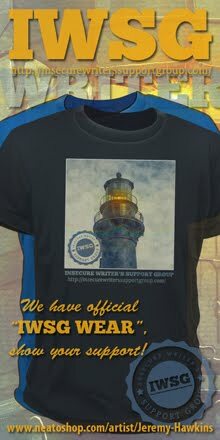 It's not available quite yet but will be soon. I hope the University of Mary Washington bookstore will have it in time for my signing on June 3! Robyn, he's probably more fun than me. Definitely a better dancer. JE, I'll let her know. Congrats to the Hero anthology authors and those with new releases. Cool notebooks. Have a good week, Alex. That's a lot of Star Wars influence. I like the Stargate universe better myself and Firefly. It's very cool to hear where the hero ideas came from. Movies often inspire my stories, but more along the lines of "if this happened instead..."
Tom Servo and Crow on NetFlix... I heard something about that video, but I haven't seen it yet. Good times. I'm so glad to see Roland Yeoman's quote for his story in the Hero Lost anthology. May great sales and praise be granted to all the authors! Everything seems to inspire my stories. I have to really focus to get once sense of influence. I'm kinda like Olga and Tyrean: I don't know that something has influenced me until I'm in the editing and revision stages. There were some varied answers. Wonderful and great to read. Great question. Firstly, congrats again to the authors of the Anthology! I'm inspired by strong women who aren't afraid to show their vulnerabilities - living and fictional. Congrats to all the anthology winners! I'm excited to read your stories. Interesting to see how much Star Wars was an influence. Glad Mal got a mention too. Congrats to those with releases. Cute notebooks, glad your wife insisted on the photo. I hadn't realised how influential Star Wars was. As for the other things, I remember Mary's alphabet paintings from a few years ago. I am sure it will do well. This is the first I've heard of Tom Servo and Crow. Am I hopelessly behind the times? gonna have to give Ayreon a try. Now I feel like re-watching Star Wars! Thanks for featuring the anthology. Susan, both of those rock! I agree. Donna, I sometimes don't see it until later either. Mason, she even took the photo. Charles, it's an amazing project band. Congrats to Pat and Mary. How many is this for Pat now? That's interesting that so many of the heroes from the anthology were inspired by movie heroes. Mine wasn't. Probably watching movies serves as inspiration for a lot of writers. 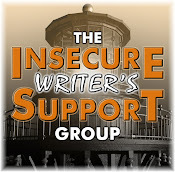 Congrats Authors! Good Job. Loved the post and insight to inspiration. I'll be looking out for those Star Wars influences in the anthology! Tom Servo and Crow are a riot! The Hero Lost Movie Heroes interviews are interesting. Congrats to everyone with new titles out. An Artful Animal Alphabet by Mary Montague Sikes looks like a cute book for kids. Hope you're doing well, Alex. Take care! Can't contribute much to this post with my comment. But always glad to see Pat Hatt in the author queue. The man is phenomenal!!! Reluctant heroes always seem to be the best. That Ayreon album cover is a little creepy, but it sounds like an interesting album. That's cool that Tom Servo and Crow got to rip a few Netflix shows. I literally did a whole series about other heroes who influenced some of my characters. I won't bore you with that now. Interesting answers to the question. I'm working hard to catch up so I can read the anthology. But I'm so slow. Maybe soon. I can't think of any heroes that have inspired me to write a story. That may be in the future. Congratulations to the new books. What a great idea, to have the authors talk a little about their inspirations for the anthology. Love this kind of insight. Those questions are always tough for me because I write about 7- and 13-year-olds!!! So no movie characters/actors really inspire me at all. When I wrote romance, I could have had a good answer for most of those questions. Well, that and the fact that back then I watched a TON of movies!!! Sounds like Han Solo is quite the inspiration. Harrison Ford, yummy. Great question and answers from the anthology authors! :) Netflix should totally listen to Tom Servo and Crow. Wish I had more time to go see live shows. I'll have to bring my son into the Rifftrax circle when he's a little older so we all can go! Whatever I write, Star Trek and Star Wars have influenced me. Great new books. Love when our people have a new book out. Woot. Very cool on going to see Alien's. Decided I would wait to see how I feel because I really, really, REALLY don't want to muck up my chances to see Wonder Woman. PS: Making new bread today for more Cinnamon French Toast, tomorrow. I just lost ten minutes watching the Tom and Crow videos. Sigh. Yay for A Knight's Tale and Firefly! Not that the others aren't good movies, but well, those are my favorites. Before I forget: I love what Jen said about not wanting death to look ugly. Very good point. Why can't death look pretty, like an angel? I forgot how funny MST is. I think I found the next series to binge watch on Netflix. Thanks, Alex! Betray us, and I will fong you!!! Sherry, it does for me. Lynn, always good to hear from you! Joanne, he is a writing machine. Christine, considering there is some language at the live shows, definitely wait until he is older. Ivy, I am seeing both! Jacqui, but you got a good laugh, didn't you? Crystal, it's easy to binge-watch now. My heroines are normal people who must deal terrifying experiences, although the first was supernatural and influenced heavily by Charlaine Harris's heroines. I was reading a lot of her work at the time of writing. Some cool insight into the background of the various stories, and the influence of Star Wars on pop culture can't be understated. Fun to hear from the Anthology authors! I am looking forward to reading all of their stories. Listened to a sample of Ayreon on Amazon and they sound amazing. I can see why you like their music and love the story line move. How interesting that so many of them got their influences from Star Wars. I think so many of us can relate to that: wanting to do something for ourselves and yet knowing we'll ultimately do the right thing whether it benefits us or not. Having A Knight's Tale referenced made me want to watch that one all over again. I'll have to tell my hubby and sons about Ayreon's new album. They love any new music and prog rock is one of their many genres of interest. On a completely unrelated note, I finally saw Guardians of the Galaxy last night! Go, me! Of course I loved it. Interesting to read the movie or movies that inspired the hero/heroine for the anthology stories. Death as a beautiful being? Mmm. Now that's something to consider...why not? I think my historical novel was influenced, in part, by characters from The Patriot, but it's a stretch--and probably better that way. I've read three of the anthology tales--all entertaining. I try hard to keep my characters and plots original and unlike anything else. What a great tale behind Ayreon!! Except for Floyd's The Wall, I've never heard of anything so ambitious. Congrats to Pat and Mary for their releases and for the MST3K on Netflix! An Artful Animal Alphabet sounds interesting ...it's sure to be a colourful book. Looks like Star Wars had an affect on several of the stories. Julie, I think it's cool she did. Sheena-kay, they are the complete package when it comes to music. Lynda, glad you caught it! And your husband and sons will dig the new Ayreon. Lexa, Arjen's music is far beyond The Wall or any other concept album since it spans so many years and albums. Robert, I can see that. Sandra, I am enjoying hiding! Too damn hot. Great interviews! That was really interesting about the Angel Of Death! Tom Servo and Crow are so funny! Star Wars is definitely up there as influences, but I also took a lot from the Harry Potter books. I love the hero's journey aspect of both franchises. Good versus evil and life-altering choices in the darkest of moments are grist for both my heroine and world building. I’m far more likely to be inspired by characters from children’s books than from movies. Somehow written words stay with me whereas movies quickly fade from my memory. Ooh, I'd like to see that Five Doctors RiffTrax show!